Get more for less. Buy 2 to get 2 free when you shop at aLL Plus Size Store. What’s more? You also get gift vouchers worth ₹1,000 on shopping for ₹5,000 or more. 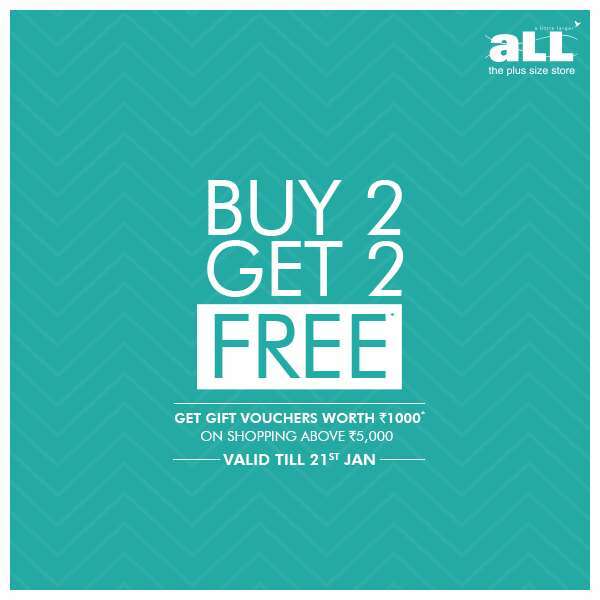 Offer valid till 21st January 2018 only.